September 11, 2018 SoftwareGEYA-92 Ltd. 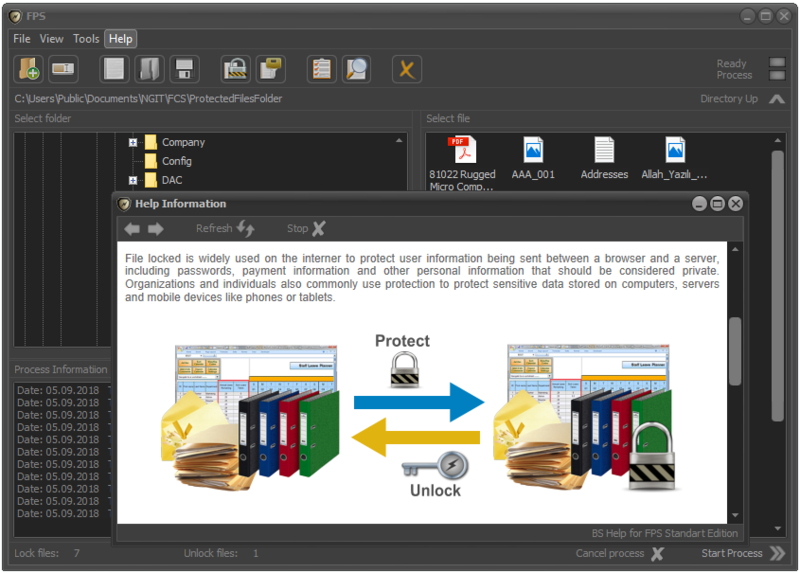 Practically File Protect System – Standard Edition (FPS-SE) is a hybrid system using elements of object-related protection. FPS-SE is a transitory project towards the contemporary forms of conversion for the information flows, as the abstract-matrix or volume-related protection. In the basic version of the product,a model offered by Gilbert Verman and Joseph Mauborgne is used, but the random numbers are replaced with ?information objects”, which simplifies the process of formation of the protection key. The use of information objects allows the increasing of the level of abstraction. In this way there is no need for a random character of the key used. Practically this is a hybrid system using elements of object-related protection. FPS-SE is a transitory project towards the contemporary forms of convertion fo the information flows, as the abstract-matrix or volume-related protection.